Car rental in Bhutan offers people who are looking to have memorable moments of life with family and friends can visit Bhutan. It is a place which has beautiful temples, landscapes and much more which are worth watching. If you are looking for a reliable cab rental services, then you have reached the right platform. Fab Cab is the renowned name which is known for best Bhutan taxi rental services. We ensure you that our cab service would undoubtedly add in the most valued experiences of your life. WHY OPT FOR Bhutan CAR RENTALS BY FAB CAB? Bhutan car rentals would be great option, if you are about to visit such beautiful place on earth opt for car hire in Bhutan to make your trip more enjoyable. Positive feedbacks by customers proves that FabCab is one of the best car services. It is very easy to book a car online but it requires work to be done speedily. Bhutan car rentals services allow the quick online booking of the car for rent. Here the booking is done very easily and so everyone preferred to go for such option. Fab Cab offers a wide variety of car range. It will help you select the best car which can suit your requirement and fulfils your need for the car. Some of them are Tata gold spacio, Innova and many more. They offer the car at a very low price. People who have a low budget are also having an option to book car and maintain the budget. Fab Cab offers various discounts during registration which will help to reduce the overall budget for transportation. Apart from other service rules and regulation, a zero-tolerance policy is our prime focus, according to which we are strongly against of the misconduct done on the tourist by the driver or by staffs. In such case, serious action will be taken from our edge. People who go for car hire can really be satisfied with services by fab cab. 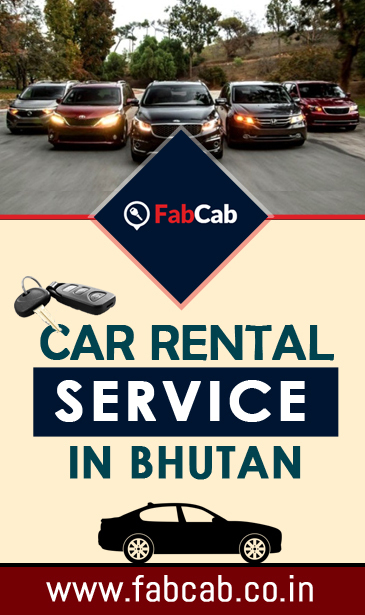 FabCab provides services in Sikkim, Darjeeling, Siliguri,Bhutan and Nepal.